As anyone who has been shooting clays or pheasant in windy conditions will tell you eye protection is a must. We have selected just a small range which we believe gives you adequate choice, lens colour options and, most importantly, a resonable price range.While companies like Browning, Smith and Wesson have had the run of play for some time the new kids on the block with some stunning high performance products and innovative lens designs are Bolle. Not only do they have tremedous pedigree in safety eyewear Bolle are now supplying most special forces and police tactical teams around the world with glasses that perfrom to Stanag balistic testing standards. 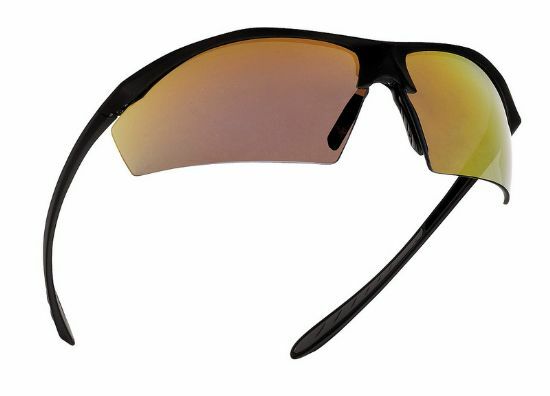 All of the Goggleyes tactical and shooters protective eyewear is selected to have a full wrap around design with good side protection, polycarbonate lenses as standard with prescription inserts being available on certain styles. Bolle Tactical Eyewear does where detailed, JSP does not, Nannini does not. JSP's Forceflex range meets the high optical standards for ANSI Z87.1, EN166 and AS/NZS. This also means the Forceflex meets the US Military which is a 15 calibre ballistic impact test.